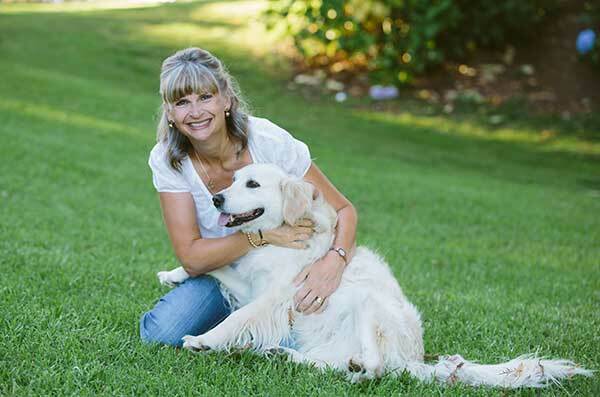 Hi, welcome to the ‘Hello Pumpkin’ CTMH Australasian Blog Hop. If you’ve arrived here from Doris Taylor’s Creative Inspirations, then you’re in the right spot. But if you just happened upon us, please enjoy the ongoing inspiration by following the link at the end of this post. 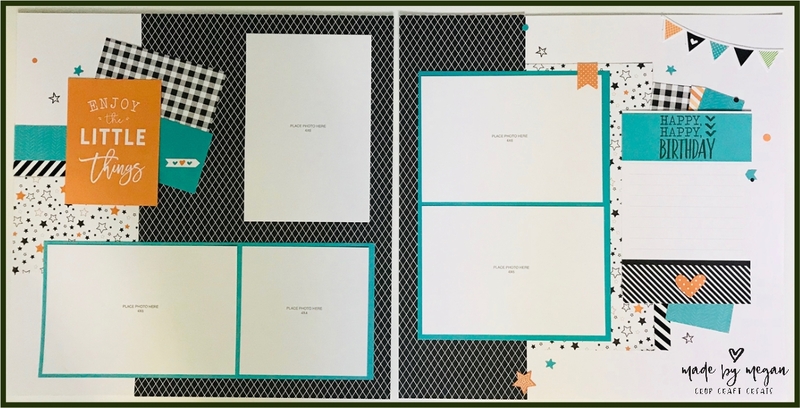 Today I’m super excited to share with you a scrapbooking layout that features the CTMH’s Hello Pumpkin paper suite. Now I am pretty sure that some of my Australasian friends will have looked at the name of this suite, and turned the page quickly, without giving it a decent look. Is this you? If so, I hope to encourage you to think again about it, because although this paper suite is perfect for Halloween, it’s perfect for lots of other themes as well. I’m talking formals, school balls, weddings, celebrations, and birthdays. I think the black and white papers in this suite are just perfect to mix and match with a complementary colour from your photo/s. This is what I did when I created my Happy Birthday layout. But I have used a couple of other components of the Hello Pumpkin suite to add to my theme. 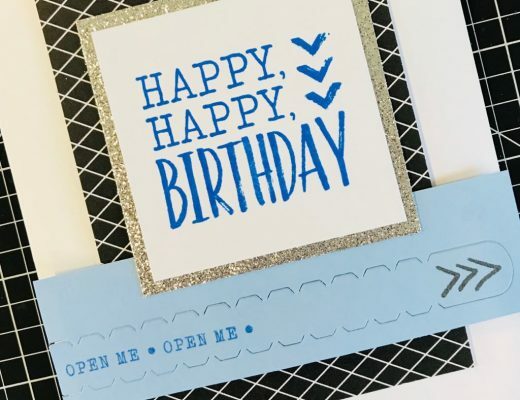 First off, I used the Workshop Your Way Epic Birthday Cardmaking Kit. It’s such a cool kit to create cards for boys / teenagers etc, but the stamp set in it is also extremely versatile. I thought the happy birthday sentiment really suited the style of my layout, so used it to stamp my title, and I used the little stars as an accent on my page. I also used the beautiful banner from the complements pack, to add to the ‘celebration’ them. Perfectly Imperfect – Picture My Life Cards, which totally co-ordinate with the Hello Pumpkin suite, and extend it’s use exponentially. Here’s an example of some of the cards in use. Both the sentiment card and the background accents are from the Perfectly Imperfect card set. Am I allowed to say I love this layout? It’s bright and cherry as a birthday layout should be, and it allows for 5 good sized photos, and a great spot for your all important journalling. And if you need to add more photos, you can do so quite simply by popping a flip flap or two on top. So – have I inspired you to think again about the Hello Pumpkin suite? If yes, and you’d like to order some product contact your local CTMH consultant. If you’re in NZ, and don’t have a consultant, you can order by clicking HERE. Of course, if you do celebrate Halloween, then you’ll absolutely love the Hello Pumpkin Workshop Your Way kit, with it’s 3 pre-designed layouts. Now it’s almost time to pop on over to Shaunna at Passionate about Pages for more inspiration. But before you go, I’d really love it if you could give me a wee ‘like’ or even better, leave a comment. (You know us crafters, we have crafty egos that need to be fed!). I love your layout Megan. It is bright and cheery. I can see this one working for many photo themes. Thanks Shaunna, yes it’s very versatile. Love your layout, Megan! Hello Pumpkin certainly doesn’t have to be Halloween! Thanks Doreen, I think we’ve all proven that! 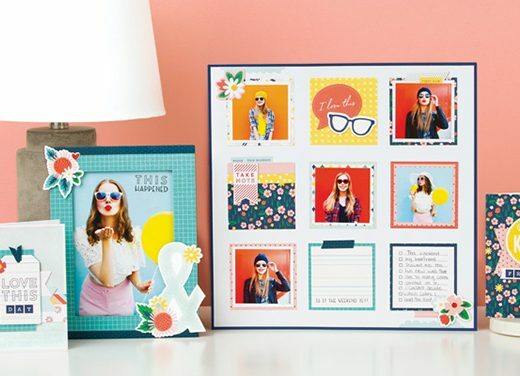 I really like how you created a birthday layout with this collection, the decorative elements are gorgeous. I really love your birthday page. Those papers suit so well with Birthdays. What a fab birthday layout – it looks great. 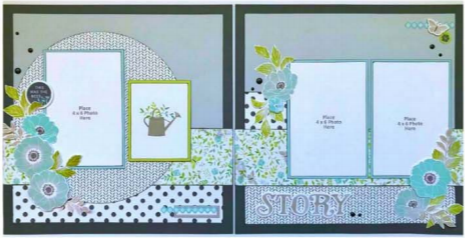 I really like how you incorporated the card making kit into the scrapbook layout. What a fabulous birthday layout!